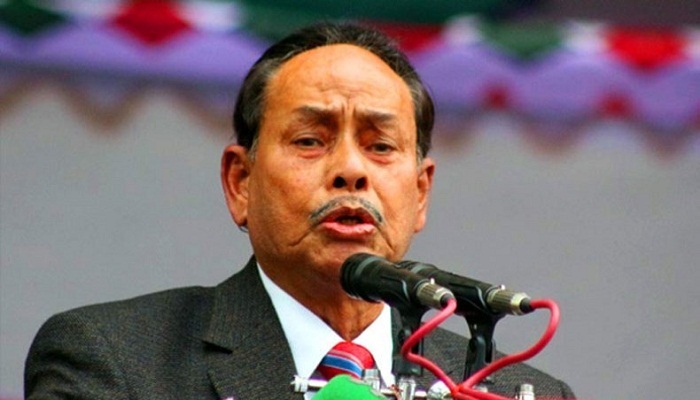 Claiming that his party will be a factor in the next national election, Jatiya Party Chairman HM Ershad on Wednesday said they are yet to decide whether they will contest the polls in alliance or independently. “Jatiya Party will be a factor in the next polls. We’re now in alliance with Awami League. But I can’t say what will happen in the days to come,” he said while addressing a press conference at a city hotel. He claimed that country’s youths are frustrated for lack of employment. “They’re taking the wrong path and getting addicted to drugs,” he said. Jatiya Party leaders Ziauddin Ahmed Bablu, Mahzabin Morshed, Solaiman Alam Sheth and Morshed Murad Ibrahim were also present at the press conference.